Syrah Resources has cemented its comeback from production issues last last year by posting a monthly record in March 2019 at the Balama graphite project in Mozambique, southeast Africa. 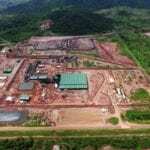 The company reported “higher recovery, plant availability and utilisation” at Balama in the second half of March, which culminated in a record-breaking 19,000 tonne production last month. This achievement adds to a total production of 48,000 tonnes in the first quarter of 2019, 3000 tonnes ahead of Syrah’s guidance target of 45,000 tonnes for the quarter. 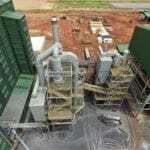 Balama suffered from production delays when a piece of its processing equipment caught fire in October 2018, less than a week after receiving project approval from the Mozambique Government. The fire has set Balama’s production back by five weeks and caused a write-off of $US7.43 million ($10.44 million) during the 2018 financial year. The Balama project, located in the Cabo Delgado province in the north of Mozambique, is one of the world’s largest natural graphite mines comprising two deposits, Balama West and Balama East. 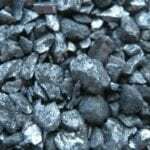 The project initially contained an estimated measured, indicated and inferred graphite resource in excess of 1.19 billion tonnes over a 50-year mine life, but this was increased by 19 per cent to 1.42 billion tonnes in March 2019. Syrah intends to become a leading producer of high purity graphite and serve the primary market of battery anode producers.